Bathrooms aren’t what they used to be. Today’s modern bathrooms feature a wide array of products, including sophisticated showerheads and spa-like steam systems that lend themselves to the most unconventional of shower designs. At DJ Plumbing our team of Vancouver plumbers are committed to helping our customers find the right shower and fixtures to suit any budget. Because of the many components involved when installing a complex shower system, it is important that both rough in and finishing stages of your installation be handled by an experienced professional plumber. We proudly serve Vancouver, Burnaby, Tri-Cities, Coquitlam, Port Coquitlam, Port Moody, Pitt Meadows, New Westminster, North Vancouver and West Vancouver. What is more annoying than a broken shower? Having a daily shower has become a critical part of everyday life. When problems begin to show themselves, it cannot only be an inconvenience but can also cause significant damage to your bathroom. That is why at the first signs of trouble it is important to call in the experts. 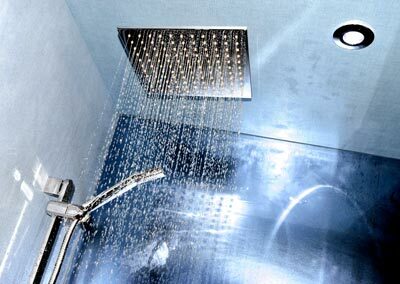 Leaks in Showerhead: Damaged seals or inner valves can cause a leaking showerhead. Not only is it annoying with the sound of constant dripping, but could also show itself as an increased cost your next energy bill. Cracked Surfaces: Modern showers often use plastic, acrylic, fiberglass, and other surfaces to keep a watertight seal in your shower. If cracks do appear, the water is most likely to leak into the floors underneath the shower and cause a great deal of damage; including mold and mildew. 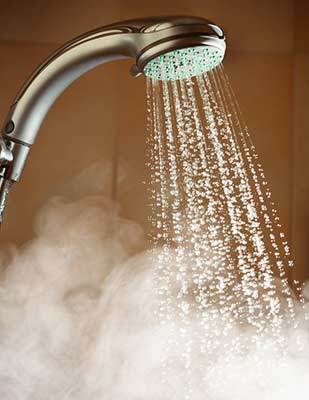 Lack of Hot Water: Your shower should be reliable enough to provide you and at least one other person the convenience of a hot shower. If your shower is not able to produce enough hot water, it may be a problem with the valves located in your shower fixture. (Please Note: Note having enough hot water can also be a sign that there is a problem with your hot water heater). Low Pressure: A poorly performing shower fixture is likely to have a clogged aerator. Unscrew the nozzle and look for signs of buildup. If the piece needs to be cleaned, soak it in a vinegar-water solution. If the problem does not clear up, it may be time for a replacement. Are You Planning a Vancouver Bathroom Renovation? We Can Help! If you’re planning on remodeling your bathroom, you’re not alone. In fact, bathrooms and kitchens are the most remodeled rooms in the home and provide the best return on your investments. 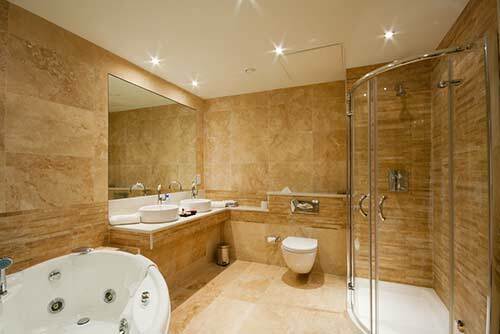 The bathroom remodeling process is one of the more complex of projects a property owner can commit too. One way to improve your bathrooms look and functionality is to add a stand-alone shower. Walk-in showers have become a symbol of modern bathroom design. It is always a good idea to do your homework before you begin a renovation, and with today’s innovations in products and materials, there are plenty of options available. What kind of base do I want installed? The shower base is the foundation of your walk-in shower. Simply stated, it is the part that rests on the floor and contains the drain that carries water out of the home via the sewage system. Shower bases come in a wide range of colors, sizes and shapes. If you can’t find the perfect shower base for your bathroom, you can always have it custom made. This can be a better choice as it can give you more options when its time for the finishing. What kind of shower heads do I like? There are several examples of showerheads available on the market today, each offering a particular set of features and also choice of styles. Keep in mind that like faucets, and other fixtures, showerheads range from economy to the high-end price ranges. Fixed showerheads: Traditional fixed showerheads are mostly common shower-faucets because as they can easily connect to the plumbing fixtures without any additional hardware. Shower handsets: Handset shower-faucets are connected by a flexible hose, and can also mounted and used like the fixed showerhead. Ceiling-mounted showerheads: Ceiling-mounted shower-faucets are typically raindrop showerheads mounted in one shower ceiling. Water-rains down, at low or medium pressure, using the gravity to shower on one from directly above. Adjustable showerheads: Adjustable showerheads are often have numerous settings, including the pulsating massage settings and high-pressure settings. Shower panels: Unlike a single showerhead, these are wall-mounted with sprayers aimed horizontally at various parts of the body. Having a difficult time making a decision? Feeling confused about a how a specific fixture is going to work in your bathroom? We can answer all of your questions. Give us a call 778.227.1119 or email us info@djplumbing.ca and ask about our In Home Consultation Services.